Nuevo Silaberio Espanyol (ST00136), left corner of display, on view at the NMAJH exhibition in Philadelphia. Every book in the Sephardic Studies Collection endured a long and often arduous journey before arriving in Seattle. Often that journey is as important and significant as the book’s contents. The details of a book’s transport give life and depth to the items in the Sephardic Studies Collection. For those items in the collection that have been digitized, their transcontinental journeys continue via the much less strenuous route of the internet. Recently, however, a physical item in the Sephardic Studies Collection went on a more traditional journey. Contributed by Seattle’s Sephardic Bikur Holim Congregation, Nuevo Silaberio Espanyol: metod moderna kon figuras (ST00136) is an instructional Ladino grammar book that has just returned to Seattle after an almost two-year tour through Philadelphia, New York, and Missouri after capturing the attention of the National Museum of American Jewish History (NMAJH), the American Jewish Historical Society (AJHS), and the National World War I Museum. The book is one of only five of its kind known in the world. Nuevo Silaberio Espanyol: metod moderna kon figuras, courtesy of Sephardic Bikur Holim Congregation (ST00136). 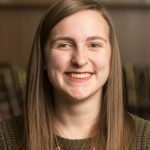 Before attracting national attention from the various museums, Nuevo Silaberio first intrigued then University of Washington History PhD candidate Sarah Zaides Rosen in 2016. In her article “Learning Ladino — Then and Now,” she points out that Nuevo Silaberio was an exemplar of a genre of grammar books that were at once practical and didactic, containing both instructional grammar lessons and complementary moral tales. Of the four silaberios that she studies, two are viewable online in the Sephardic Studies Digital Collection; one is from Istanbul, and another from Salonica. 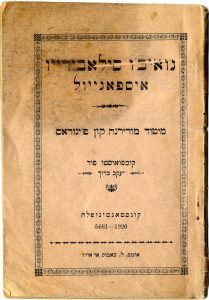 While the origins of the silaberios are indeed a highlight of Zaides Rosen’s study, it was her attention to one distinctive feature of a later silaberio published by a Jewish educator in Istanbul in the wake of World War I that captivated museums around the country. At the conclusion of the textbook in its didactic description of all of the major Jewish holidays—such as Rosh Hashanah, Yom Kippur and Passover—the silaberio highlights a fiesta Djudia (Jewish holiday) not typically counted among the more traditional ones of biblical origin. Zaides Rosen’s transliteration and translation clarifies that this new holiday is El 2 Novembre (The Second of November), a day to commemorate the signing of the Balfour Declaration—the actual signing of which occurred just two years before the silaberio was published. The original Ladino description of El 2 Novembre, the Balfour Declaration holiday, from the silaberio (ST00136). As Zaides Rosen indicates, the inclusion of the Balfour holiday in this silaberio is noteworthy: Although many Sephardic Jews in the Ottoman Empire had been fiercely loyal to their homeland, Nuevo Silaberio’s description of the Balfour Declaration holiday as a religious celebration indicates the excitement with which many Ottoman Jews embraced the newfound Zionist ideal supported by the Declaration. Support for the establishment of a Jewish state in Palestine among Ottoman Jews only became possible once Palestine ceased to be a part of the Ottoman Empire with the conquest of the region by the British, and the implementation of its Mandate in Palestine. 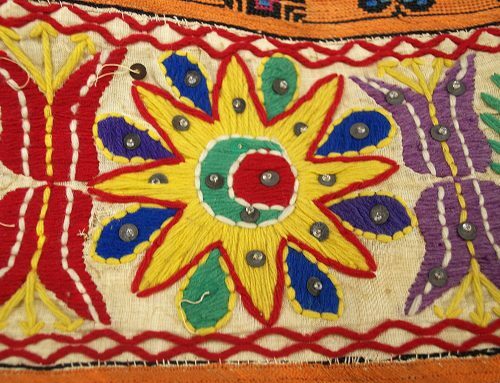 In January 2017, the NMAJH contacted the Sephardic Studies Program with an interest in including Nuevo Silaberio in its upcoming exhibition 1917: How One Year Changed the World. 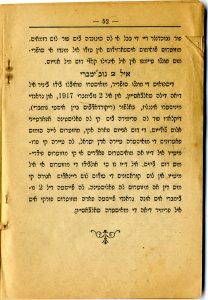 Seeking to highlight America’s entry into World War I, the Bolshevik Revolution and the Balfour Declaration, this copy of Nuevo Silaberio would afford the NMAJH the ability to include a primary Ladino source in its exhibition—and the only Ladino text on display. Nuevo Silaberio was shipped to Philadelphia in preparation for the NMAJH exhibit, which ran from March 17 through July 16, 2017. The silaberio was opened to the page describing the unique Balfour Declaration holiday and was accompanied by a plaque featuring Zaides Rosen’s transliteration of the Ladino into Latin characters with a translation. 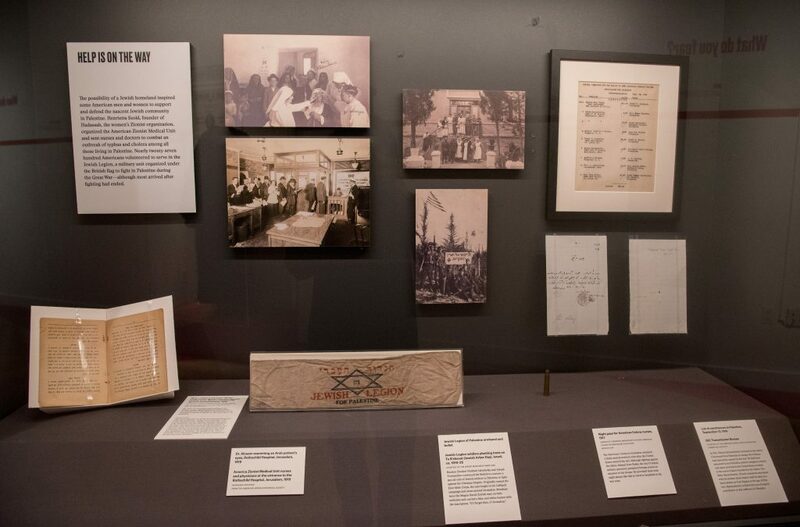 The book was situated in a corner of the exhibition titled “Zion in America.” While this part of the exhibit mostly highlighted American Jews’ simultaneous excitement and apprehension surrounding the Balfour Declaration, the silaberio was able to contribute a rarely told side of the story from the perspective of Ottoman Sephardic Jews. It also complimented the two drafts of the Balfour Declaration presented at the exhibition, a feature that marked the first time a version of the Declaration had been displayed in America. 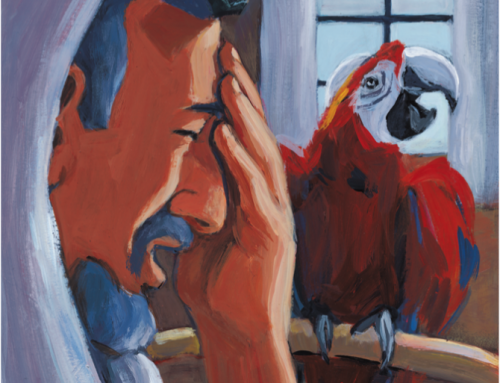 “It was an honor for me to be able to work with such a special historical text. 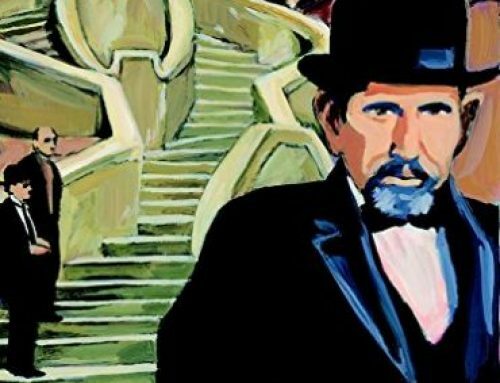 [The silaberio‘s] description of the Balfour Declaration reveals so much about how Sephardic Jews understood Jewish nationalism, their relationship with the Ottoman State and their sense of place in the twilight years of the Ottoman Empire. It is also rare to be able to work with a text that has had such an illustrious ‘after-life’ here in Seattle,” said Zaides Rosen. ‘1917: How One Year Changed the World’ traveled from Philadelphia to New York City. The Philadelphia exhibit attracted 111 tour groups, and thousands of visitors were able to enjoy the unique silaberio. From September 8 to December 29, 2017, Nuevo Silaberio made its way to New York City for the AJHS exhibit. 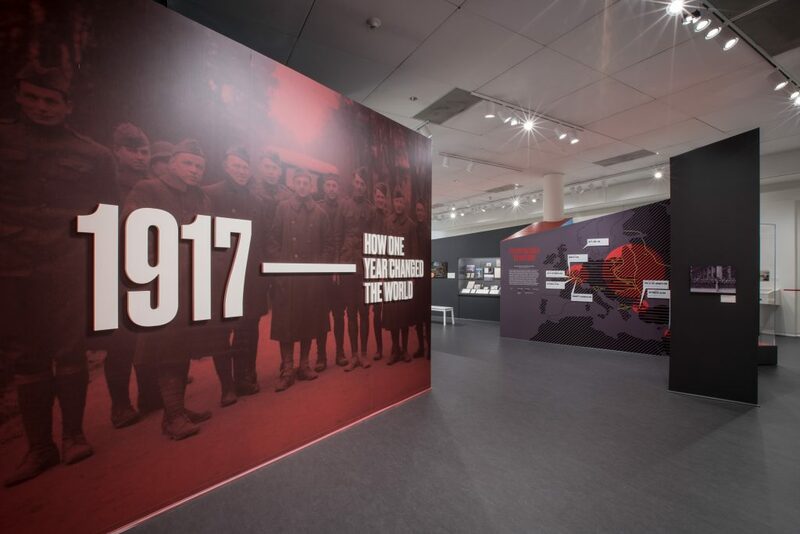 Although it was expected that Nuevo Silaberio would return to Seattle by the end of summer 2017, the success of the previous exhibitions motivated the National World War I Museum in Kansas City, Missouri to host a similar presentation, For Liberty: American Jewish Experience in WWI from June 29 – November 11, 2018, which also featured the silaberio. Once again, the schoolbook from Istanbul complemented the original draft of the Balfour Declaration and offered museum-goers the opportunity to view a primary Ladino text, the likes of which do not often make their way to museums in the American Midwest. 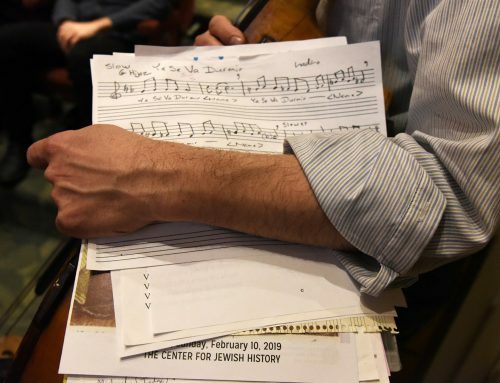 Nuevo Silaberio’s journey presents a model for the many opportunities available for collaboration between the University of Washington’s Sephardic Studies Program and other museums and universities across the nation. 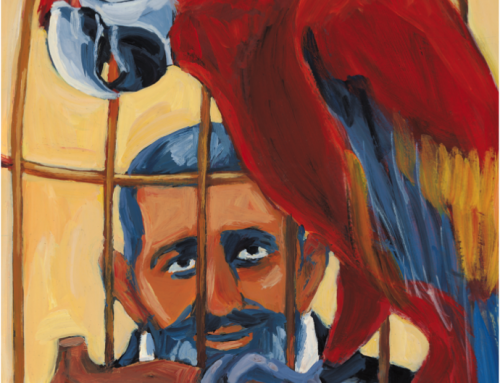 As one of the fastest growing repositories of Ladino texts, the Sephardic Studies Program is well-positioned to contribute vital artifacts that help tell the story of the Sephardic experience during some of the most pivotal years of world history. 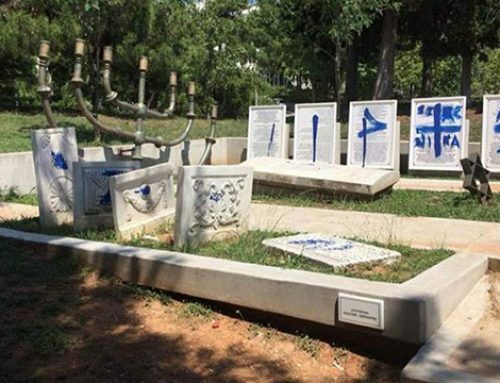 Special thanks to Sephardic Bikur Holim Congregation, the National Museum of American Jewish History, the American Jewish Historical Society, the Center for Jewish History, and the National World War I Museum for their generous collaboration with the University of Washington Sephardic Studies Program. Makena Mezistrano is a native of Seattle and a member of the Sephardic community. She holds a BA in English Literature and an MA in Jewish Studies, both from Yeshiva University. Her family is from Salonika, Greece.